Weekly Tea Discussion: Why Are People Afraid of the Arts? Two days ago, President Trump announced a proposal budget that would cut funding to arts and education programs. This would propel the elimination of four independent cultural agencies – the National Endowment for Arts (NEA), the National Endowment for the Humanities (NEH), the Institute of Museum and Library Science, the Corporation for Public Broadcasting, which supports public television and radio such as PBS and NPR. While these and other vital organizations are forced with devastating proposed cuts, it didn’t stop the Department of Defense, Homeland Security, and Veteran Affairs receive an increase in their funding. I have nothing against veterans. I strongly believe those who fight for our country should receive funding that will give them the support they need. But more money going towards basically war and violence is an atrocity and this is coming from a man who most likely wouldn’t know a piece of art or an open book if it was literally right in front of him. Unfortunately, this was bound to happen here in America. We as a country place anything ahead of the value if the arts and education. The arts always plays last fiddle to anything, whether it is technology, politics, or security. Which leads me to ask the question: why are people so afraid of the arts? Oh the year 2016! It has been…ok, I’m not going to sugar coat it. 2016 kind of sucked. The presidential election that appeared to have no end, devastating terrorist attacks, Brexit, the result of the presidential election, numerous amounts of notable deaths…people are just itching for this year to end. 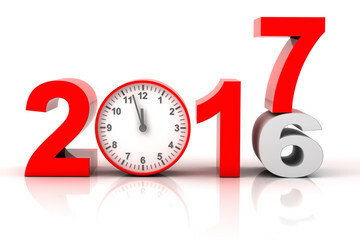 But before we abruptly close the book on this year, let us take time to examine the past and what changes we can do for the future.